A diamond’s weight is represented in carats. A single diamond is divided into 100 points; therefore a diamond that is ¾ of a carat also has 75 points. 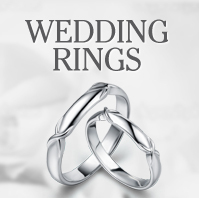 One carat is equivalent to approximately 0.2 grams. The value of a diamonds is dependent on the carat, and so a 3 carat stone will be more expensive than a 1 carat diamond. When a diamond is cut with proper proportions the maximum amount of light is returned out of the top of the diamond, making it appear larger. It is possible to have a diamond of lower carat weight but with a higher cut grade which appears larger than a diamond with more carat weight and poor cut. grade of I or J. What Carat Weight To Choose? The price of diamonds jump dramatically at the half and full carat mark. Stones that come in just below these weights cost significantly less and are almost impossible to detect. Remember that a smaller 1.5 carat diamond will look much larger on a size F finger than a size L, so keep in mind the ring wearer. 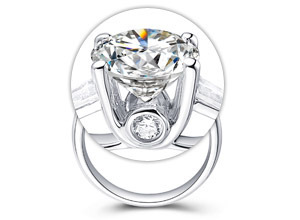 It is important to note that carat weight does not always relate to the size of a diamond. 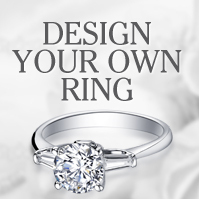 Choosing diamonds in popular diamond sizes might yield you a much better cut and price. 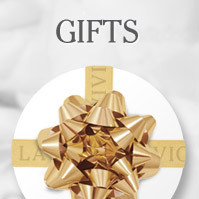 For help with picking the right size for that special someone, talk to the experts at La Vivion.